Install a sling on your Rem 870. Front stud simply replaces the magazine cap. Rear stud is a simple drill and screw in the stud process. 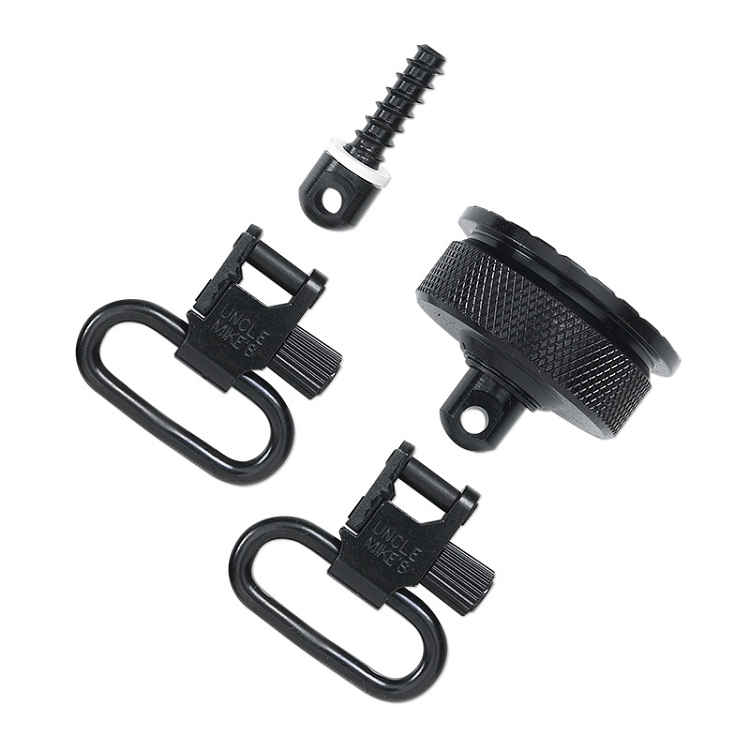 Kit includes: two 1" Quick Detach Swivels to fit any 1" wide sling. Note: The cap on this kit only fits 870s with EXTERNAL ratchet magazine cap.